November 2017 - Patent my French! When Matthieu Dhenne kindly sent me a copy of the recent judgment Quadlogic Controls Corporation v. SA Enedis, I immediately knew that it would contain a part on the limitation period for nullity claims, as this is one of his favorite topics. But quite to my delight, when diving into the judgment, I realized that extension of subject-matter is also discussed at length. And it turns out that this is one of my favorite topics. I will leave it up to readers to decide which favorite topic is more off-putting, his or mine. Quadlogic is a New-York based company specialized in energy management products. They own European patent No. EP 1260090 to a System and method for on-line monitoring and billing of power consumption. Enedis, previously known as ERDF, is a subsidiary of EDF, the public company turned private which is still responsible for distributing most of the electricity used in France. Enedis on the other hand is in charge of handling the electricity network. One huge project that has been keeping Enedis busy for a number of years now is the replacement of traditional electricity meters by smart (and somewhat controversial) meters known as the “Linky” meters. By the end of 2017, 35,000 new Linky meters are supposed to be set up every day. It is therefore a pretty big deal that Quadlogic stated that the Linky technology infringed the EP’090 patent. In 2015, a number of letters were exchanged between the parties, but no amicable agreement was reached. Thus, Quadlogic filed an infringement suit in February 2016, after performing an infringement seizure in January. Enedis raised a number of defenses and in particular challenged the validity of the patent and requested its revocation. At this point, Quadlogic replied that Enedis was time-barred from filing a nullity counterclaim – a classical defense nowadays. However, this time the Paris Tribunal de grande instance (TGI) disposed of the issue relatively quickly. Although the patent was filed as early as February 2001, it was only granted by the EPO in October 2013. It is established that the nullity of a patent can only be requested as from the date of grant, namely October 9, 2013 so that the nullity requested by Enedis for the first time in its counterclaim of February 21, 2017 is admissible. No limitation period can thus be raised against Enedis. As a reminder, there is now a limitation period for nullity claims in this country, according to recent case law, which is 5 years. The starting point of the period is much debated, with diverging views between first instance and appeal judges. However, it is now relatively clear that the starting point cannot be before the grant of the patent. At least the TGI and the Cour d’appel are on the same page on this – see a recent report here. The court then turned to the merits of the validity challenge and reviewed the amendments made during examination. 1911 – when electricity was still a miracle. (b) a data collector coupled to the metering device via said power line, the data collector being operable to receive data from and transmit data to the metering device over the power line; operable to store data received from the metering device over the power line, and operable to receive data from and transmit data to a remotely located computer. The expression highlighted above was added during examination and was at the center of the court’s attention. Quadlogic only quotes the first sentence of paragraph 132 in its submissions, namely: “Interval metering stores independent records of metering data for future recall”. And this single sentence in a patent comprising 60 pages of description, supposed to be the crux of the invention, does not mean that individual records of the metering intervals are made. It mentions the possibility of independent records without stating that there is a prior problem that the skilled person had to solve. This mention cannot be considered as supporting the added feature, which makes it possible for the invention to exist, since the metering, storing and recovering of metering intervals on energy consumption were known; this feature is the only novel one in view of the known prior art. Since the entire device was known except this feature which is the only one to confer novelty to the invention, in order to avoid extension beyond the content of the application, elements to support the invention itself must be found in the description and drawings. What is remarkable in this explanation by the court is that a feature added in order to distinguish the claimed invention from the prior art seems to be subjected to a more thorough and strict evaluation than more innocent features. The EPO on the other hand usually does not make a distinction between novelty-conferring features and non-novelty-conferring features in the added matter analysis. What is also remarkable is that the court did not simply look at the sentence in isolation, but took into account the general context of the entire patent. In this case, the supporting sentence is only recited in passing, without any statement of a technical problem to be solved. The way I understand it, in order for the invention to be redefined based on a specific feature, this feature must be originally identified as addressing a particular problem. The court then delved into a more technical investigation. This sentence “Interval metering stores independent records of metering data for future recall” means that the recorded interval metering is independent from the values of counting energy consumption. The part of the sentence “for future recall” is much too elliptic to be admitted as supporting the recovery of measurements of individual intervals. It only refers to the existence in the system of a function for recovering stored data owing to a transfer to the computer. Indeed, the fact that measurements are stored as “independent records” does not imply that the measurements, wholly or partly related to these records, can be recovered in an individual manner. In this respect, the EPO’s gold standard of direct and unambiguous derivability seems to be applied by the French judges. No means for separately recovering one of the measurements of the non-volatile memory is ever mentioned in the description of the patent. And table 6 […] effectively shows that the measurements of intervals are recorded one after each other, half hour by half hour during a certain time, which is a measurement and storing mode already widely known without adding any means to individualize data. The court continued by noting that the recovery of an individual measurement for a certain interval requires for instance predefined addressable memory areas. But no such embodiment was disclosed in EP’090. In summary, the subject-matter of claim 1 was found to extend beyond the content of the application as filed, the same conclusion applying to all of the following claims, and the patent was declared invalid. The issue of infringement was accordingly not addressed. Whether readers agree or disagree with the court’s findings, the good news is that a very thorough assessment of the technical information made available to the skilled person in the application as filed was performed, which looks every bit as good as what we could find in a decision by a Board of appeal of the EPO. The judgment is also yet another reminder that completely redefining an invention during examination proceedings by digging for some isolated disclosure may be a winning strategy for the grant, but a losing one during opposition or litigation. CASE REFERENCE: Tribunal de grande instance de Paris, 3ème chambre 1ère section, November 2, 2017, Quadlogic Controls Corporation v. SA Enedis, RG No. 16/03165. All French readers of this blog probably know the “Journées FNDE“. For the foreign readership who may not be aware of this traditional gathering, FNDE stands for Fédération Nationale pour le Droit de l’Entreprise; and the “days” in question, two in number, are dedicated to a review of recent French patent case law (as well as recent case law of the Boards of appeal of the EPO) by a panel of distinguished academics and practitioners. In short, this is a must-attend event for the national patent profession. Last week, I was part of the audience for the second day of the event, the traditional subject of which is the exploitation of patent rights. I am not going to report on the various decisions that were commented upon during the day. In fact, and although I would hate to sound boastful, many of them were already discussed on this blog. What I would like to report on instead is the excellent introductory presentation made by Pierre Véron. As an expert in Unified Patent Court (UPC) matters, he provided some insightful update on this – always – hot topic. One focus of his intervention was the adaptation of French law in view of the (likely, imminent, possible) [delete as appropriate] entry into force of the AUPC (Agreement on a Unified Patent Court). It turns out that the ministry of justice has – finally! – issued drafts of a decree and a bill (“ordonnance”) intended to modify the Code de la propriété intellectuelle (CPI). Of course, the drafts are subject to changes before they are adopted, but here is where we currently stand. First, and most interestingly, the question of double protection by a European patent and a French patent. The current rule (article L. 614-13) is that a French patent covering an invention for which a European patent has been granted to the same inventor or successor in title with the same filing or priority date ceases to be in effect at the expiry of the opposition time limit or, if an opposition is filed, at the date on which the opposition proceedings are closed with the maintenance of the patent. In short, double protection is currently prohibited. According to the draft, the new rule will continue to prohibit double protection only if the European patent is opted out of the exclusive jurisdiction of the UPC (pursuant to Art. 83(3) AUPC). On the other hand, a French patent and a European patent on the same invention to the same inventor or successor in title, with the same filing or priority date, will be allowed to coexist if the European patent is subjected to the jurisdiction of the UPC. This will concern all so-called unitary patents (European patents with a unitary effect) as well as traditional European patents that have not been opted out. As far as I understand, a similar rule has been adopted in Germany. As this is viewed as a useful tool for the German patent system in general and for German businesses in particular, it was felt that a similar rule was needed in France in an attempt to be on an equal footing with our neighbors. An inventor armed with his French patent and his European patent. In the current state of affairs, French applicants will benefit the most from the new rule, since the filing of a French application as a priority application followed by the filing of a direct EP or Euro-PCT application is a common strategy for them. However, foreign applicants should also consider filing both at the EPO and nationally in France (and e.g. Germany), at least for their important cases. Thus, they would not put all of their eggs in the same basket, and would be able to assert their IP both at the UPC and in front of national courts. The additional cost involved by this strategy would remain moderate as patent prosecution in France is quite inexpensive – while on the other hand requesting the unitary effect for the European patent would reduce the overall cost of renewal fees across Europe. Another significant change in the law, according to the draft, is the period of limitation for infringement claims. Under current article L. 615-8 CPI, “infringement actions […] are time barred five years from the facts on which they rely“. This should be replaced by five years from the date on which the right owner became aware or should have become aware of the acts of infringement. Again, this will harmonize French patent law with the AUPC (article 72), and also, oddly enough, with the general statute of limitations under French law (article 2224 of the Code civil). This change will obviously be favorable to all right holders. Apparently the draft is silent on another, much more controversial period of limitation, namely the one affecting nullity claims according to recent case law (discussed at length in a number of earlier posts). Admittedly, this issue is unrelated to the UPC. Nevertheless, could there be a glimmer of hope that this issue will be addressed in the final version of the bill? Among the other, more minor changes in the law, the definition of the acts of infringement is going to be slightly modified in order to be harmonized with the wording used in the AUPC. Therefore, the notion of “mise dans le commerce” will be replaced by “mise sur le marché“. According to Pierre Véron, the meaning is the same (“placing on the market” in English) and this change in wording will be inconsequential. Pierre Véron then drew our attention to the dog that did not bark, i.e. what is not in the draft. Namely, the draft does not define what is the substantive law applicable to European patents in front of French courts during the transitional regime – i.e. French law or the AUPC. According to the interpretative note issued by the Preparatory Committee, competent national courts have to apply the applicable national law, and not the AUPC. Yet, courts will not be bound by this interpretative note, so that an explicit provision in the statute could be helpful to avoid complex legal disputes. That said, it is probably only in very specific cases that which substantive law is applied would really make a difference – the Bolar exemption being an often quoted example. Apart from this discussion on the adaptation of French law, Pierre Véron also updated us on pending challenges to the UPC – and in particular the German constitutional complaint. However, there may not be much to say on this topic, except “wait and see“. Let’s not underestimate how unpredictable and chaotic life sometimes is. The one point that got me thinking, though, is the interaction between the Brexit timing and the possible entry into force of the UPC. According to Pierre Véron, if the Agreement can enter into force before the the UK officially leaves the EU (which may primarily depend on the fate and timing of the German complaint), then everything should be fine. He said the Agreement would simply have to be slightly modified in order for the UK to stay in the system, for example by stating in article 2 that “Member State means a Member State of the European Union at the date of the entry into force of the Agreement” instead of “Member State means a Member State of the European Union” (period) in the current version. He added that this modification would be straightforward as it could be directly made by the Administrative Committee. On the other hand, if the UK leaves the EU before the Agreement enters into force, then everything gets more complicated as a new Agreement would likely have to be signed in order for the UK to stay in the system – and this means a new diplomatic conference. After hearing this, I read again article 87 AUPC on the revision of the Agreement, in order to see what the Administrative Committee can and cannot do in terms of altering the Agreement. Either seven years after the entry into force of this Agreement or once 2000 infringement cases have been decided by the Court, whichever is the later point in time, and if necessary at regular intervals thereafter, a broad consultation with the users of the patent system shall be carried out by the Administrative Committee on the functioning, efficiency and cost-effectiveness of the Court and on the trust and confidence of users of the patent system in the quality of the Court’s decisions. On the basis of this consultation and an opinion of the Court, the Administrative Committee may decide to revise this Agreement with a view to improving the functioning of the Court. It does not look like this provision would be relevant to the modification suggested by Pierre Véron. Indeed, the modification does not seem to relate to “improving the functioning of the Court“. Also, paragraph 1 is only applicable after a significant period of time and necessitates a “broad consultation with the users” as a preliminary step. The Administrative Committee may amend this Agreement to bring it into line with an international treaty relating to patents or Union law. Could the proposed modification of the AUPC fall under this provision? Would it be considered as bringing the Agreement into line with a potential UK/EU divorce treaty? One can be skeptical. It could also be considered that expanding the definition of the Member States in the Agreement is a very fundamental alteration. As some have proposed, if past EU member states can be part of the system, why not also non-EU member states, such as e.g. Switzerland? A decision of the Administrative Committee taken on the basis of paragraphs 1 and 2 shall not take effect if a Contracting Member State declares within twelve months of the date of the decision, on the basis of its relevant internal decision-making procedures, that it does not wish to be bound by the decision. In this case, a Review Conference of the Contracting Member States shall be convened. So, even if a revision of the Agreement is decided by the Administrative Committee, it could still be opposed by at least one of the contracting member states, which would then lead to a diplomatic conference. In summary, this does not look like a piece of cake. What if the Administrative Committee revises the Agreement (for example as suggested above) and there is a possible argument that the revision is illegal, i.e. not compliant with article 87? Are there any means of redress and which ones? What if the Agreement enters into force but then the amendment to the Agreement necessary in order for the UK to remain part of the system cannot be made in due time before the Brexit happens? What would then be the fate of pending cases? In view of the above, there may be a decent argument that an upfront renegotiation of the AUPC before its entry into force would be the best and safest option. If I understood Pierre Véron correctly, it is actually the position of the French government that a renegotiation is necessary – although he added that the government’s reasons for this position are unknown. Anyway, I would be ready to bet that the above issues will be discussed again at next year’s Journées FNDE. There is no such thing as bad publicity, some say. Or, as Oscar Wilde wrote, there is only one thing in the world worse than being talked about, and that is not being talked about. This rule may have some merit in show business and in U.S. politics, but it is clearly inaccurate in the trade and industry business. A recent illustration can be found in one of those never-ending French patent disputes, where judgments keep popping up every 2 to 3 years, namely Newmat v. Normalu. In this dispute, Newmat is the patentee and original plaintiff, and Normalu the original defendant. As a non-exhaustive summary, in October 2004, Normalu was found guilty of patent infringement at first instance. This was finally confirmed on appeal in May 2010 (in case you are wondering, yes that took a while, but only because there was a first appeal judgment which was set aside by the Cour de cassation, and the case was remitted back to the Cour d’appel). The litigation continued for the purpose of damages computation. In January 2012, the Paris Cour d’appel issued its final ruling on damages. A few months thereafter, Newmat published a document entitled “Legal information note on Newmat v. Normalu Barrisol – decision on patent infringement relating to a profiled part for hanging suspended ceiling”. The document contained the court order from the appeal ruling of 2010. Normalu deemed that this internet publication was an act of unfair competition and therefore sued Newmat, to claim damages. This new branch of the litigation culminated in an appeal ruling from the Paris Cour d’appel issued in May 2015. In the ruling, the court found that Newmat was indeed guilty of unfair competition but limited the amount of damages to the minor amount of 5,000 euros. Normalu was so disappointed with the outcome that they filed an appeal on points of law. The Cour de cassation rejected Normalu’s appeal on October 18, 2017. Let’s have a closer look at the facts of the case. In the first judgment of 2004 in which Normalu was found guilty of infringement, the court granted Newmat’s request that the order of the decision should be published in three journals or newspapers selected by Newmat, up to a cost of 3,000 euros per publication, to be paid by the defendant. Such a “publication order” is a classical measure quite often ordered by the courts when there is an infringement verdict. An explicit legal basis for this type of order was in fact added to the statute in 2007 (article L. 615-7-1 of the Code de la propriété intellectuelle). It is seen as a complementary remedy to the trouble caused by the infringement. However, Newmat did not implement this publication order. Instead, they published the abovementioned “legal information note” on their website, and published links to this note in their newsletter and on Twitter. Normalu argued that Newmat was only authorized by the court to publish the order of the judgment in the form mentioned in the judgment, i.e. in three journals or newspapers. Newmat was not authorized to give the judgment another and arguably broader form of publicity, and should thus be held liable. The Paris Cour d’appel disagreed and noted that the infringement judgment was public, so that Newmat was free to communicate on it as they wished. The publication order in the judgment did not restrict in any way Newmat’s ability to publish the judgment in a different manner (at its own expenses, one can add). Therefore, the only issue that the court ought to check was whether there was any abuse in Newmat’s communication, and in particular if this communication was disparaging or otherwise represented an act of unfair competition. In other words, the Paris Cour d’appel did not see any issue in principle with the publication of the judgment on Newmat’s own initiative; but it was nevertheless necessary to check whether the contents and the form of the publication were appropriate. At this point, the court noted that the text published on the website was neutral and did not comprise any comment – so far so good. Then the court remarked that the text published on Newmat’s website was identical to the order actually contained in the infringement judgment, but for two exceptions. The first exception was that the part of the order relating to the designation of an expert (for the assessment of damages) was omitted from Newmat’s publication. This was found by the judges to be without any consequence, as the reader was not misled due to the omission. The second exception was that the order of the infringement judgment referred to the company Normalu, whereas Newmat’s note mentioned “Normalu (Barrisol)” instead. Barrisol seems to be a trade name under which Normalu operates and markets its products. Newmat explained that it was necessary to specify that Normalu was Barrisol, so that the reader coud properly understand the provided information. On the other hand, Normal argued that, in view of the well-known reputation of the Barrisol trademark, the mention added by Newmat resulted in increasing the impact of the judgment publicity, beyond the exact wording of the judgment. On this respect, the Cour d’appel sided with Normalu, which led to the conclusion that Newmat had indeed committed an act of unfair competition. Turning to the computation of damages, Normalu claimed that they had to launch a radio advertising campaign in May 2012 in order to mitigate the effect of Newmat’s online communication. But the appeal judges held that the link between the radio ads and Newmat’s wrongdoing was not adequately proven by Normalu. This led the court to set the amount of damages to the rather symbolic amount of 5,000 euros. Normalu pleaded its case again in front of the Cour de cassation, but as mentioned above, the supreme court judges found no error in the 2015 appeal decision and rejected Normalu’s appeal on points of law. legal decisions are public; thus the provisions of article L. 615-7-1 Code de la propriété intellectuelle (per which in case of an infringement verdict, the court may order any appropriate measure of judgment publicity, such as by poster or by a full or partial publication in newspapers or online communication services that it designates, in a form to be specified and at the expenses of the infringer), do not exclude the victim’s right to proceed, at its own expenses, with any other publicity measure regarding the condemnation granted to it. This is a relatively important point. It means that plaintiffs do not have to ask for the court’s permission before communicating on a ruling which is favorable to them. As long as they communicate at their own expenses, they can do it directly – under the proviso that they remain completely neutral and more generally do not act in an abusive manner. I would add that it may not be a good idea for a plaintiff to publicize a first instance judgment which is not yet final. Concerning now the form and contents of Newmat’s communication, the Cassation judges stated that the Cour d’appel was free to appraise the facts as it did, and thus that it issued a legally valid decision. CASE REFERENCE: Cour de cassation, chambre commerciale, October 18, 2017, Normalu v. Newmat, No. 15-27136. Believe it or not, it is somewhat difficult for this blogger to know what his readers are most interested in. Do they yearn for complex legal discussions? Are they rather keen on getting their hands dirty with an insight into actual patents and prior art documents? The good thing is that today’s post will contain a little bit of both – hoping that the answer to my question is not “none of the above“. Reckitt-Benckiser owns European patent No. EP 1891197 which is entitled “Process for manufacturing improved dispensing devices“. 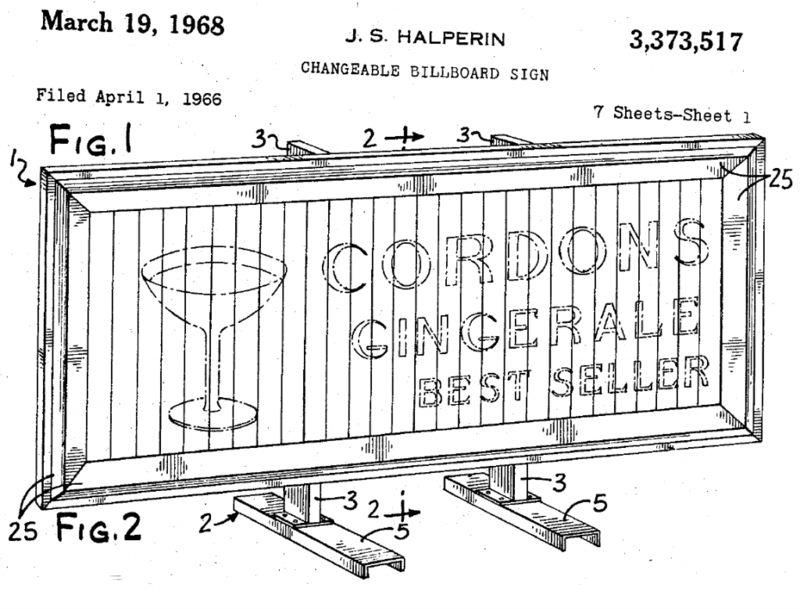 This patent owner is no small fish, but rather a giant in the hygiene industry. Think of the brands Air Wick, Calgon, Clearasil, Cillit Bang, Durex. But today, Harpic is the type of products we are talking about. In June 2013, two companies of the Bolton group, namely the Italian Bolton Manitoba and the French Bolton Solitaire, filed a nullity suit against the French part of the European patent. On March 13, 2015, the Paris Tribunal de grande instance (TGI) dismissed the nullity claim. Bolton appealed, and the Paris Cour d’appel issued its judgment a couple of weeks ago. The first interesting aspect in the appeal judgment is… the application of the statute of limitations to the nullity claim. One would think that we have heard enough about this topic on this blog lately, and one would be wrong. As is usual now in a patent nullity lawsuit, the admissibility of the request for revocation was challenged by the patent proprietor. The proprietor deemed that the limitation period for the nullity claim started running from the publication date of the application. In the present case, the application had been published before the amended statute of limitations entered into force on June 19, 2008 (as discussed here, this amended statute brought the default limitation period from 30 years down to 5 years, which initially created the legal mess that we are now in). Therefore, the patentee said, the starting point was postponed to June 19, 2008, when the amended statute entered into force; and the limitation period expired on June 19, 2013, i.e. five days before the nullity complaint was served. On the other hand, the nullity plaintiff argued that the five-year limitation period only started from the publication of the grant of the patent, namely August 27, 2008, so that the nullity action was timely filed and admissible. […] the limitation period can only start running from the date on which the person against whom [the patent] is asserted can validly act; pursuant to article 64 EPC, a European patent confers rights as from the publication of the mention of grant, so that a nullity action against a European patent application does not exist. The limitation period for the action can thus only start running, in the present case, from the publication of the patent grant at the earliest. It is a good thing that the publication of the application was not upheld as a valid starting point – this is the last thing we need right now. The choice of the patent grant as the starting point is consistent with the recent ruling by the same panel of the Cour d’appel in Halgand v. RP Nicoll, discussed here. The court did not perform an in concreto assessment, which currently continues to be applied by the judges in the TGI (see the discussion here). However, the wording used by the court, i.e. “can thus only start running in the present case, from the publication of the patent grant at the earliest“, does not fully contradict the in concreto approach. Here, the nullity plaintiff seems to have taken the position that the starting point did not need to be accurately determined, as it could anyway not be before the publication of the patent grant, which thus ensured the admissibility of the action in any case. And the appeal judges fully followed this approach. Therefore, all in all, this new ruling does not change much relative to the previous situation. Or, as they say in every good mystery novel, the plot thickens. 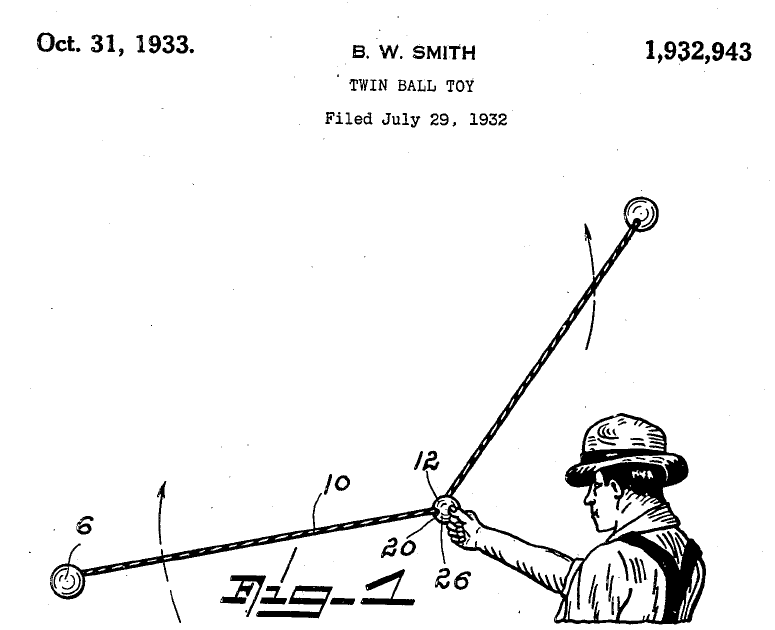 Having found the nullity action admissible, the court turned to the merits of the case, and more particularly to the contention that claim 1 of the patent did not involve an inventive step. This is the second interesting aspect in the judgment, since the Cour d’appel reversed the decision under appeal in this respect, and declared claim 1 invalid although it had survived the first instance proceedings. – compressing the extrudate to encase or enrobe said part of a hanger thereby forming said lavatory dispensing device. The next generation sanitary appliance for your toilets. Some prior art references taught the manufacturing of toilet blocks by placing a hanger in a composition comprising paradichlorobenzene, and compressing the composition onto the lower end of the hanger. These blocks are “cageless”, that is they are provided on their own and not in a plastic cage. Other prior art references disclosed the manufacturing of toilet blocks by an extrusion process, and their inclusion into cages. – compositions containing at least one surfactant (which leads to the block breaking off) are in the prior art always placed in a support. Therefore, the skilled person was not naturally prompted by this prior art to contemplate a toilet block containing surfactants, to be used without a cage, by inserting a hanger into a block obtained by extrusion, and then compressing the extrudate to encase the hanger. The existing prejudice that cages were required to support and contain sanitary treatment blocks was overcome, since it is now possible to make cageless devices which comprise a suspending hanger and a composition as a compressed full block tied to the suspending hanger, said solid block compositions comprising one or more chemical compounds, preferably at least one surfactant composition. It is remarkable that the first instance court did not apply the problem and solution approach. Though this reasoning “made in EPO” is more and more often relied upon by litigants and judges in France, it is by no means mandatory. It is also noteworthy that the TGI, when discussing why the skilled person would not have achieved the invention in an obvious manner, made reference to a number of features which are actually not present in claim 1. For example, the court seemed to consider that the composition of the block comprises surfactants and does not comprise paradichlorobenzene. According to the court, this is very important, as only paradichlorobenzene-based blocks were disclosed as being compressively tied to a hanger – in view of the particularly low solubility of this chemical. But claim 1 does not explicitly exclude the presence of paradichlorobenzene, and does not specifically call for the presence of surfactants (which are recited in dependent claim 10). Claim 1 merely mentions a “treatment composition, preferably a cleaning and/or a sanitizing composition“. Furthermore, the court considered that there was a prejudice against cageless devices comprising a sanitary composition (as opposed to a merely deodorizing, paradichlorobenzene-based composition). But claim 1 does not explicitly exclude the presence of a cage in addition to the hanger. This is in fact the subject-matter of dependent claim 8. In the end, at the priority date of European patent No. 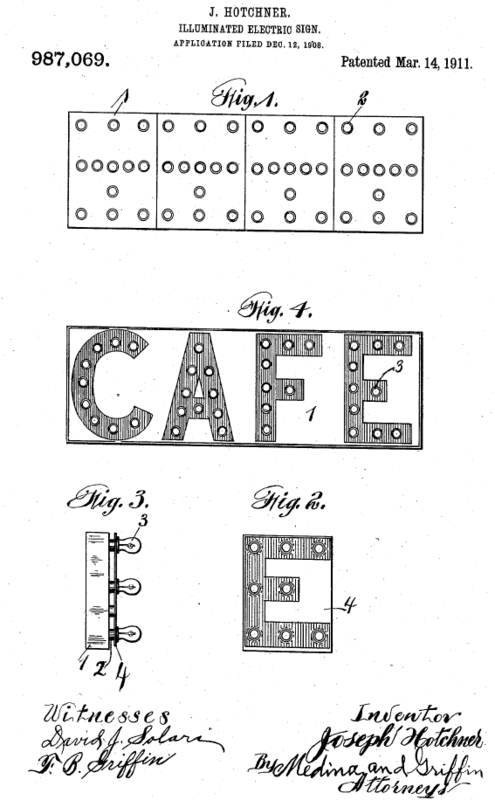 1891197, in view of the teaching of the above documents, the skilled person […] knew processes for making blocks for toilet bowls suspended by hangers; desirous of making a cageless suspended lavatory block, not based on molded paradichlorobenzene (deemed toxic) but on treatment compositions comprising surfactants, obtained by extrusion, he could use the same process starting from an extruded composition as taught in [a couple of patents]; he also knew from the teaching of [another patent] that it was possible to compress an extrudated block to give it a shape or to close the opening resulting from the insertion of the hanger. It is striking that the Cour d’appel shared the TGI’s appraisal of the crux of the invention, namely providing a cageless device for a block comprising surfactants. The TGI was thus not blamed for its extremely extensive interpretation of claim 1 in view of the description of the patent. 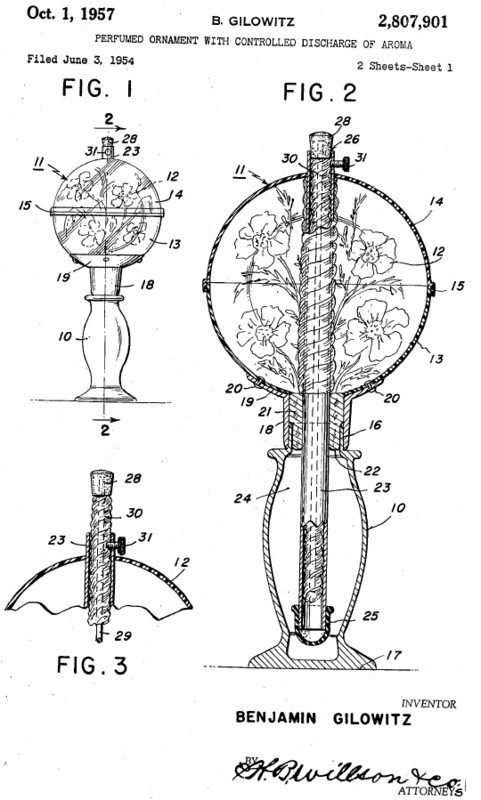 As far as I can tell, the different conclusion was in fact reached due to a new prior art citation, namely a reference disclosing the compression “of an extrudated block to give it a shape or to close the opening resulting from the insertion of the hanger” – whereas the first instance judges had noted that “none of the […] patents suggests a compression after an extrusion, to attach the hanger”. First instance judgments are very often confirmed on appeal in France. One exception to this general trend is when new facts arise, such as a new prior art document like in the present case. CASE REFERENCE: Cour d’appel de Paris, Pôle 5 chambre 2, October 20, 2017, Bolton Manitoba & SASU Bolton Solitaire v. Reckitt Benckiser LLC, RG No. 15/09777.